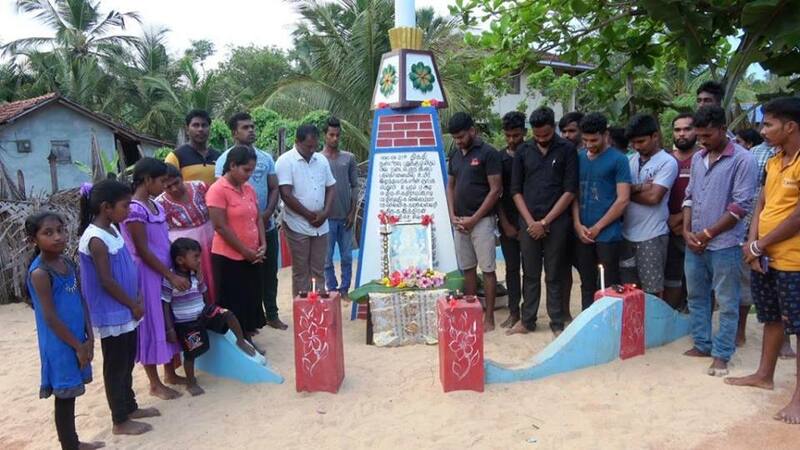 The massacre of 17 Tamil civilians by Sri Lankan army officers and Muslim homeguards on September 21, 1990 in Puthukkudiyiruppu, Batticaloa, was remembered yesterday, 28 years on. Gathering around the memorial previously erected in memory of those who were massacred, families of those killed and locals laid flowers in remembrance. On September 21, 1990 the Muslim homeguards backed by the Sri Lankan army broke into homes in Puthukkudiyiruppu village during the night and rounded up 44 Tamils, including children and women. The Tamils were dragged to the beach where the homeguards and soldiers attacked them with knives and swords. Seventeen Tamils were killed during the attack, whilst 27 were seriously injured.